Our company, D & S Security, has been the most trusted resource for home security systems in Long Beach, California for decades. We source high-quality, cutting-edge residential burglar alarm systems, and we install them with impeccable precision. Plus, we emphasize world class service from the first point of contact onward. You can rest assured that you will always speak with a polite, knowledgeable professional when you interact with our company. Many people are surprised to hear that Long Beach is one of the top 50 cities in the country with regard to population. Shipping has always been a huge part of the local economy, and the Port of Long Beach is one of the largest and busiest ports on the planet. Residents enjoy a great quality of life, and we are proud to be able to protect their property. If you are in Naples, Bixby Knolls, Belmont Shore, or any other part of Long Beach, California, a home security resource will always be just a phone call away. A home security solution can include CCTV systems, and we have many different options to choose from. And of course, if you are a decision-maker for a business, a video surveillance system can save you a great deal of money in the long run. We can explain your options to you so that you can choose the video security camera combination that is right for you and your business. A security camera system can monitor indoor areas, and surveillance cameras can also be placed in sensitive outdoor areas. In addition to the video surveillance systems and burglar alarms that we install, we are also the go-to resource for commercial fire alarm systems in Los Angeles County. We handle the monitoring tasks as well, so we provide turnkey fire prevention and detection solutions. 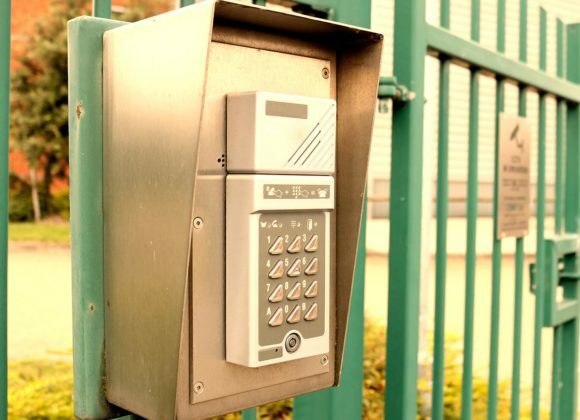 Access control is very important for many businesses and government buildings. This is another area of expertise for our company. If you are interested in a biometric system, we have you covered, and we also sell and install numeric keypads, smart cards, and proximity card readers. Now is the time for action if you are not completely protected. You can discuss your needs with one of our Long Beach, California security system consultants if you call us toll-free at 800-521-1958.